GE/Marquette One Piece ECG Cable with 5 Leadwires, Φ4.0mm Snap Electrode, TPU jacket cable, AAMI/AHA color Code(red/black/white/green/brown). 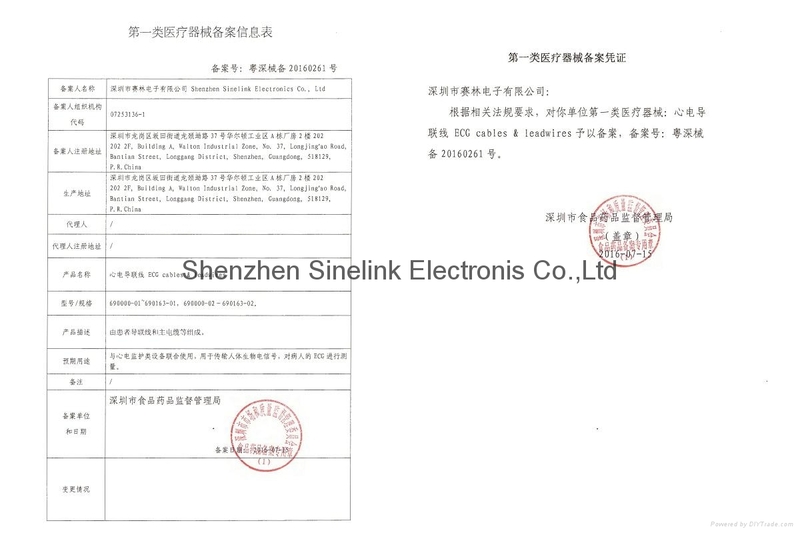 Compatible Module: GEMS:Dash PRO 4000, Dash PRO 3000, Dash PRO 2000, Dash 1000, Eagle Systems, Solar 3000, Tram 100, Tram 200, MAC-Lab, Solar 9500, Solar 8000，Tram 300, Tram 400, Tram 500, Tram 600, Tram 800, Unity Systems. 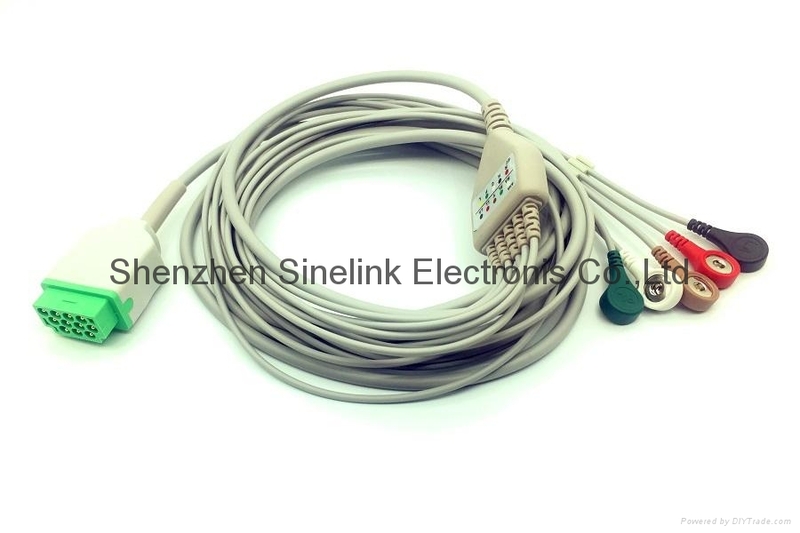 Other electrodes types are available, such as with defibrillation resistors, Φ3.0mm Pin, R/L Clip, banana plug, welcome OEM/ODM ECG cables. 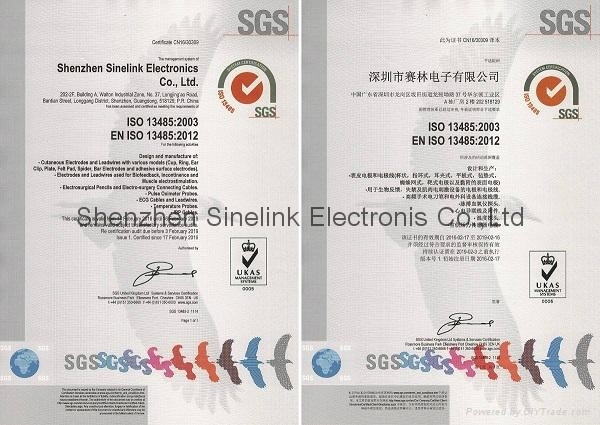 Sinelink Company has already been certificated by SGS to comply with ISO13485:2003 Quality System! 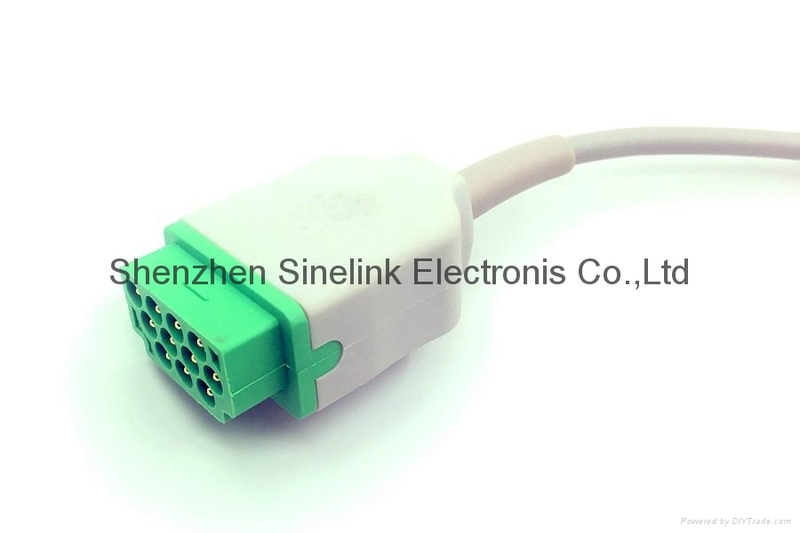 Welcome to contact us (sales@sinelink.com.cn) to get full catalogue and more products information.